Dishcloth Knitted in 100% cotton. Aspegren Dish Cloths are made of 100% cotton and contains no plastic – this is our contribution to the environment … help us spread the good news as well as the usage of these dish cloths. We find micro plastic in many dishcloths used in the kitchen or for cleaning in many homes today. 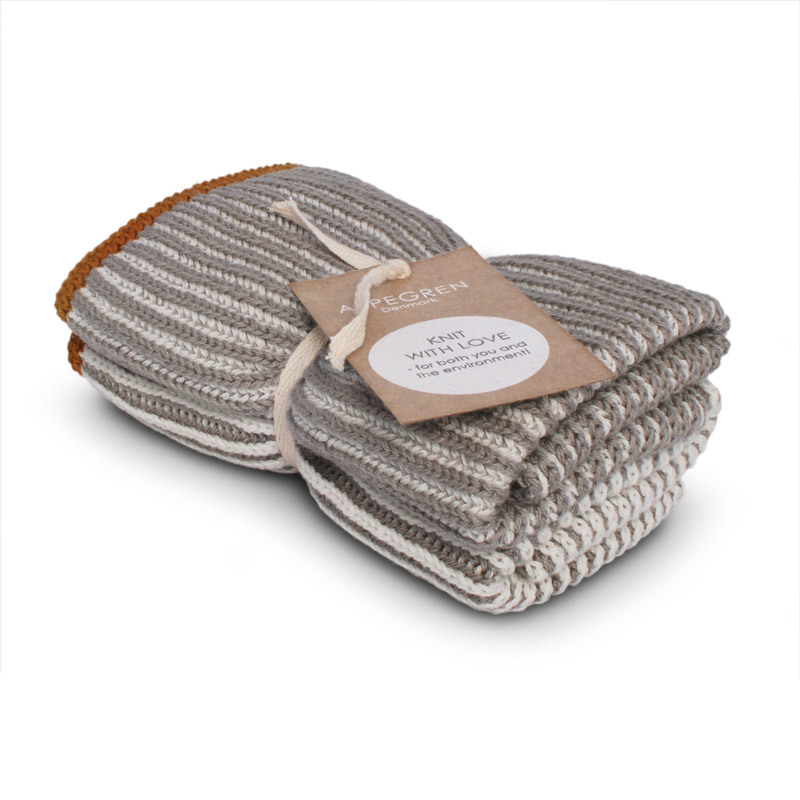 This new discovery has made it very popular to use dishcloths made of pure cotton. Who would have thought that these “new micro fiber cloths” so many of us have been using to clean up bread crumbs and milk in the kitchen, would be so dangerous to the environment and should take the lead in a huge environmental discussion? Maybe some of us had an idea or feeling that they were not the most environmental friendly choice, being both cheep, a little strange in the texture, tearing very fast after only a few times in the washing machine … However, the bread crumbs and milk need to be removed. On the 15th of March last year the dish cloth made it to the headlines of the Danish News on DR1. The reason was that a group of scientists had been measuring the continuously increasing amount of plastic – the so called “plastic soup” in the Oceans of the world – the Pacific, the Atlantic and the Indian Ocean.. and found that they are rapidly increasing and causing damage to the Oceans and all habitat within. Therefore, we are proud to announce that in our new collection – Autumn 2016 – we have included cotton dish cloths for the environmental friendly home. 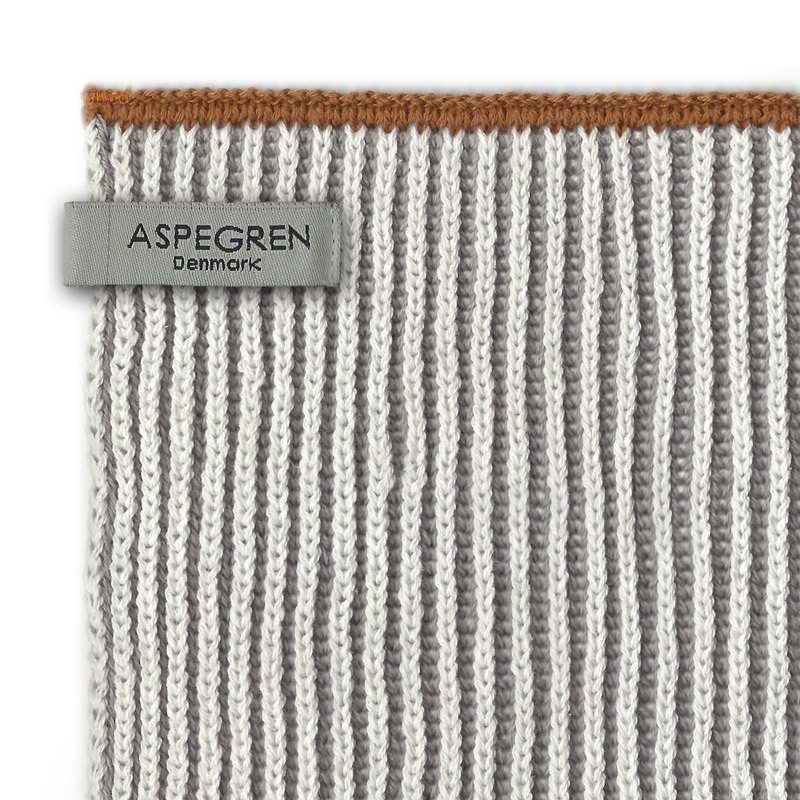 See our entire assortment for the kitchen on http://www.aspegren-denmark.dk/product-category/ktchen_uk/?lang=en – here you will also find a wide assortment of cotton dish cloths in many colors. 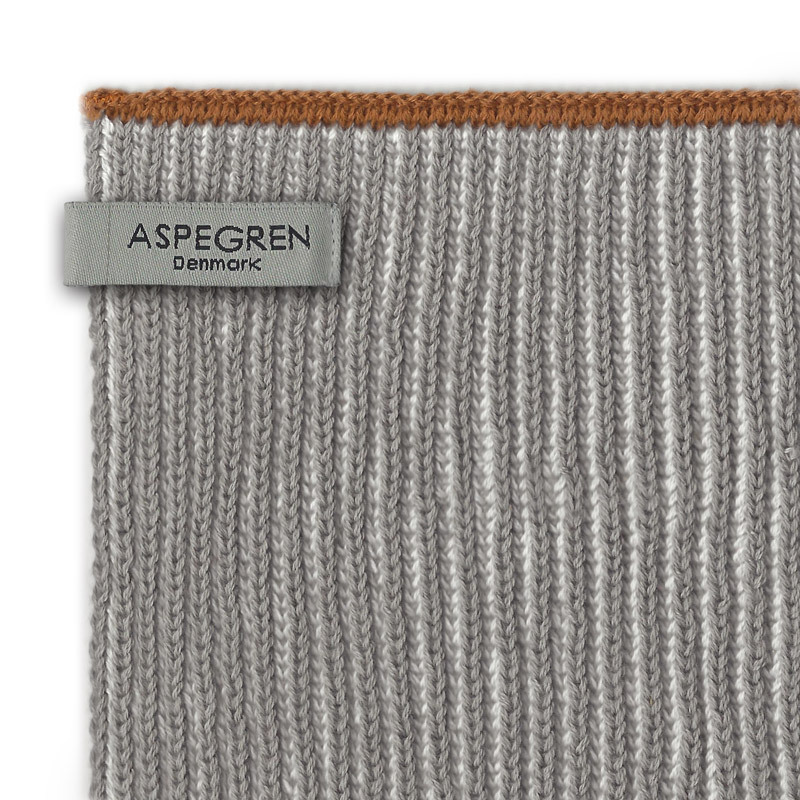 Dishcloth Knitted Design Aspegren Lamella Light Gray.